U.S. Army Sgt. 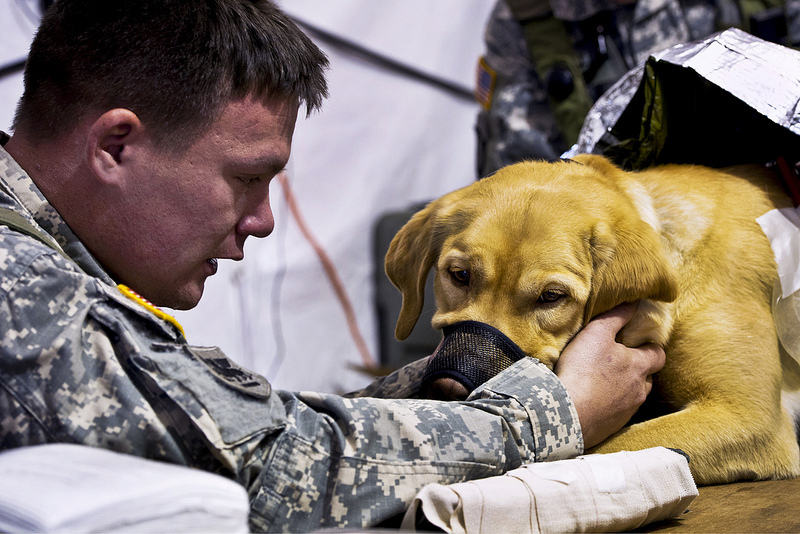 Leslie Langford, canine handler, 550th Military Working Dog Detachment, Fort Bragg, N.C., comforts his dog Ted, a Labrador retriever and bomb specialist, as he receives simulated medical care in the veterinary section of the Combat Support Hospital (CSH) at Joint Readiness Training Center (JRTC), Ft. Polk, La., Feb. 23, 2013. Service members at JRTC 13-04 are educated in combat patient care and aeromedical evacuation in a simulated combat environment.